Together, we launched a historic, coordinated effort in January after enduring years of destructive layoffs, concessions, failed sales attempts, and consolidation under the ownership of Alden Global Capital, a shadowy Wall Street hedge fund skilled in speculation and tax avoidance. Today’s national day of action connects workers at 13 newspapers who are negotiating, or soon will be negotiating, for new contracts at DFM. We’re also reaching out to non-union DFM workers and to Guild members across the country. Together, we’re making our voices heard. Together, we are building a movement to hold Alden Global Capital accountable for the destructive cuts that undermine the critical role that newspapers play in our communities. Sign up right now for campaign updates on dfmworkers.org through this link — actionnetwork.org/forms/join-the-news-matters-campaign — or on our Facebook page at facebook.com/dfmworkers. We’re calling on citizens, journalists, and media workers nationwide to do the same, and to join our fight to preserve quality journalism. Our campaign is entering a critical stage. 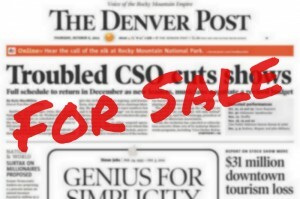 We’re adding supporters and building alliances to make sure DFM and Alden get the message: Stop strip-mining the assets of newspapers, and invest in the workers who make those newspapers profitable. #NewsMatters, and DFM workers – all news workers – demand fair treatment. You’re helping us send a clear message to Alden Global Capital: News is vital to our democracy, and newspapers are too important to fall prey to Wall Street profiteering. Help us win fair contracts and make a stand for our newspapers. Visit our website at dfmworkers.org, or our Facebook page at facebook.com/dfmworkers, and sign up for campaign updates at actionnetwork.org/forms/join-the-news-matters-campaign. You also can follow us on Twitter: @dfmworkers.